Send to friend enables your clients to find the pleasant method to send for friends. Appropriate for all WooCommerce topics. 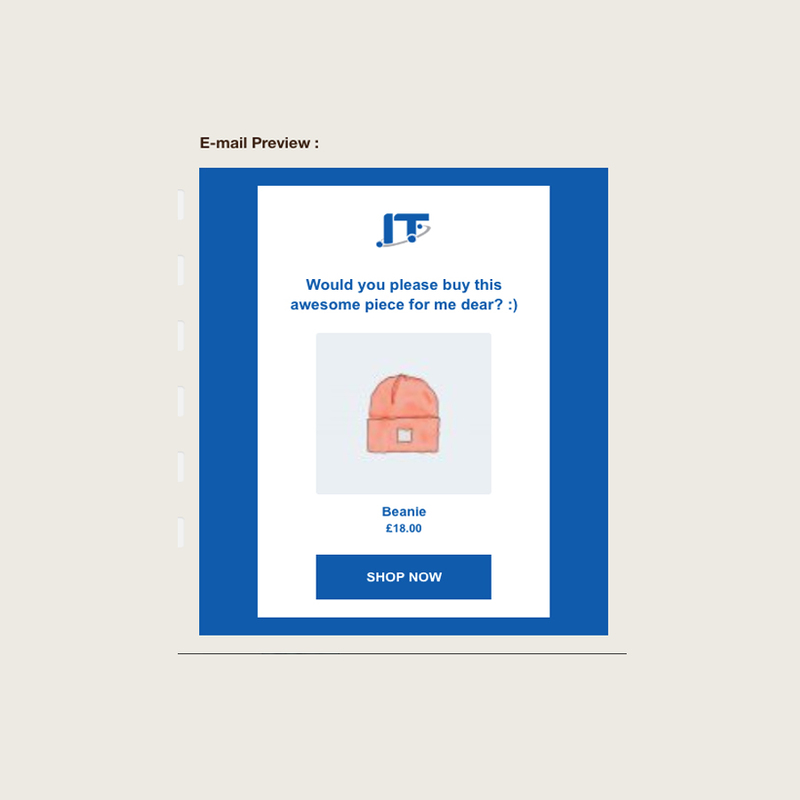 Rather than an essential email which incorporates a connection, your visitors can send the item itself to anybody with this module. An email see window shows up when you tap the button. Here you see the item with its picture, title, and cost. Presently you pick a compose your message, set up your button and send it to anybody. Making efforts for uncommon days like Valentine’s Day, New Year, Christmas, Mother’s Day and so on is a typical method to invite your visitors to purchase an item. Presently you can utilize “Send To Friend” module as a piece of your crusade and influence the visitors to share your items (and normally your image) with their friends in a charming way. Today, it’s vital to get remembered by your visitors particularly from the purpose of remarketing. 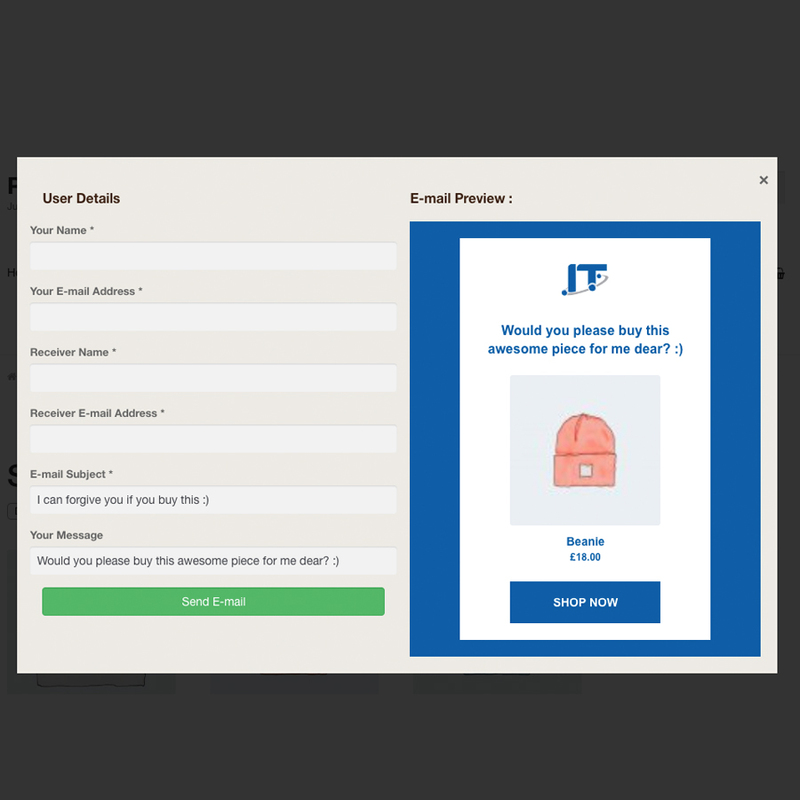 “Send To Friend” module encourages you to expand the returning visitor rate of your store by displaying an inventive and essential shopping background. Suitable for all WooCommerce themes. Easy usage. Ready to go in 5 mins. A “Send To Friend” button appears on category and product pages. The button will be the same with your theme’s design. Shortcode can be used to display the button. You can write anything instead of “Send To Friend”. Go to “WooCommerce > Settings > Send To Friend” to see the settings. Enable/Disable the button at any time. Enable/Disable the button for each product separately. Plugin uses the default font of your theme. You can change the design via custom CSS. You can use your store’s logo and set the size of it. Plugin can be used together with additional plugins like “Quick View”. Font Awesome support. You can add an icon to your button. Super light structure and high performance on any platform.